Twin Air delivers a complete system, with everything you need to maintain your Twin Air filter! 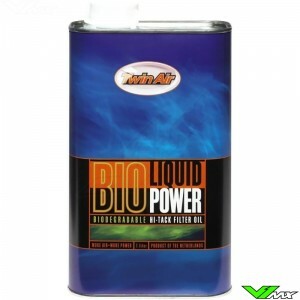 This 4 liter can contains a specialy designed liquid for a superior way of cleaning your air filter. 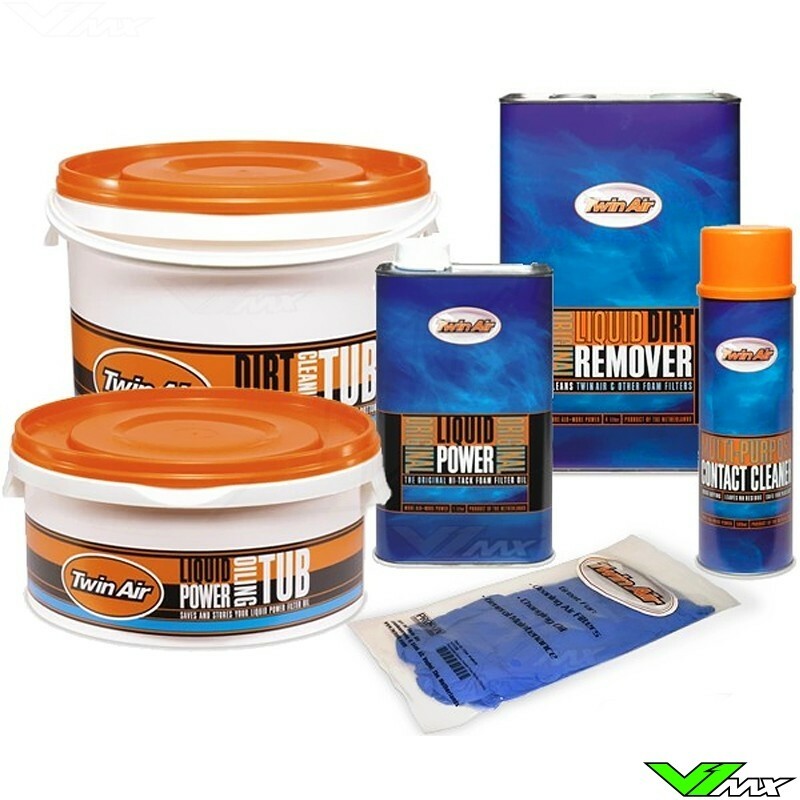 It will loosen the dirt and flush your filter clean. 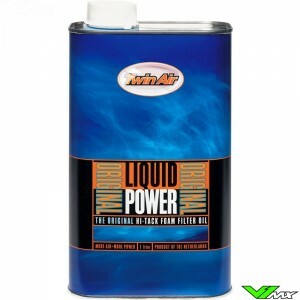 This filter oil by Twin Air is a high tech oil, developed to go on as a liquid so it easily penetrates the filter. 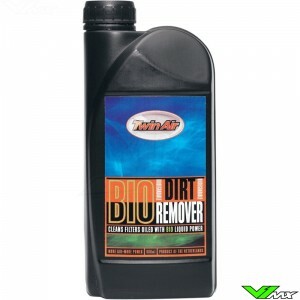 The Solvents in the oil dissipate quickly, this makes sure the oil grabs the dirt. 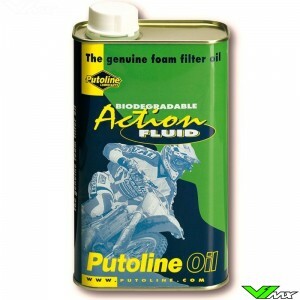 It has amazing protection for your dirt bike. 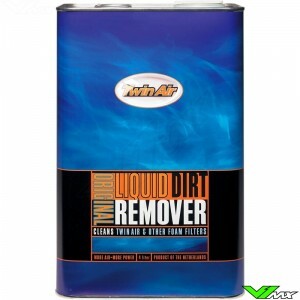 With the contact cleaner spray by Twin Air you have a superior way to clean the filter oil from the filter cage, filter bolt, airbox and airbox sealing ring. 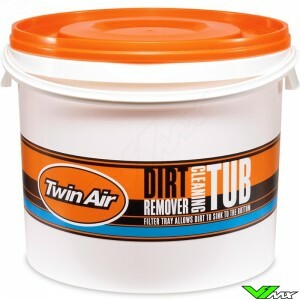 The cleaning bucket makes cleaning your air filter much easier! 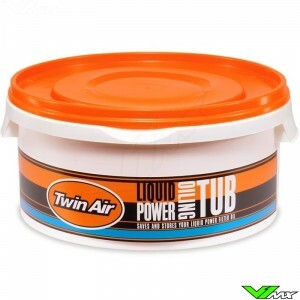 This tub has two special cages which can be used during the cleaning of your air filter. One cage can be placed at the bottom of the cleaning bucket, this will make sure the air filter wont have any contact with the dirt that comes of the air filter. After the bottom cage is placed the bucket can be filled with hot water + BIO dirt remover or liquid dirt remover. When the tub is filled your air filter can be placed in the bucket. the other cage should now be pushed into the bucket, this will keep the airfilter from floating. 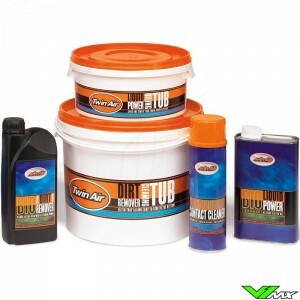 This oiling tub is a great way for even oiling your filter. Simply squeeze out excess oil from your filter and store unused oil in the resealable tub. If you are not going to service your filter for months at a time, it is best to store your extra oil back in the can. 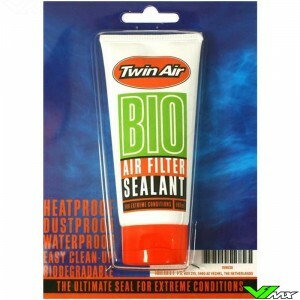 The Twin Air gloves are great for Cleaning air filters, changing oil and general maintenance.